Whenever you want a tree service company in Lansing, Michigan that delivers professional tree removal services, we are here to assist. Our team is here to offer you an incredible value and a one of a kind approach that you do not want to miss. Maybe the best thing about our team is that we are always committed to value and the experience is second to none. We can come to you with all the necessary items, so it doesn’t matter if we need tree climbing units, cranes or buckets, we will bring in all the necessary tools and complete the task at hand with the utmost precision and professionalism. And since our tree service company in Lansing, Michigan is focused on safety, we always take the necessary precautions. We always tell you to stay inside until we handle the tree removal process, as this is the only true way to get the results and value that you might need. You can contact us whenever you want a tree service company in Lansing, Michigan that you can rely on. Our team is always there for you and the value can be extraordinary regardless of the situation. Plus, our team is always coming with the necessary tree removal equipment. As a result, the value will be worth it and you will be extremely happy with the outcome for sure. You also get an immediate quote when necessary, you can rest assured of that. And there won’t be any hidden fees since everything is upfront at all times! 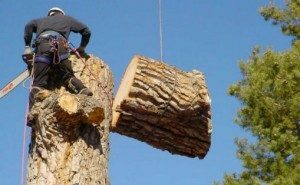 Why should you choose our tree removal service company in Lansing? In case you need to remove your trees fast and easy, we will be always here to assist. We are committed to delivering the very best value on the market and we also provide a wide range of benefits, as follows! Our company is fully insured and certified, which means that we can deliver proper services and outstanding care at all times. We always generate a lot of referral business by working with the very best in the business. We had thousands of clients, be it regular businesses or newcomers in the region as well. We can deliver an outstanding work guarantee, with results that will impress you right from the start. Our team is polite, professional and we are always on call, whenever you might need us, we will be there to help you as fast as possible. We have more than 10 years of experience in the industry and you can count on us to get a very good value. All costs are shared upfront, we never bring any hidden fees. We are a trustworthy team of arborists that puts quality first all the time. You receive a free estimate even before we start working on your project! We can help you with tree removal and many other similar services. It doesn’t matter what service you might need, we will always be there for you. All you have to do is to hire us right now and you will not be disappointed! As you can see, our tree service company in Lansing, Michigan can offer all the tree services you might need. If you want to work with the very best arborist company in the business, all you have to do is to hire us right away and you will not be disappointed, that’s for sure! © 2017 Copyright Discount Tree Guy | All rights reserved.